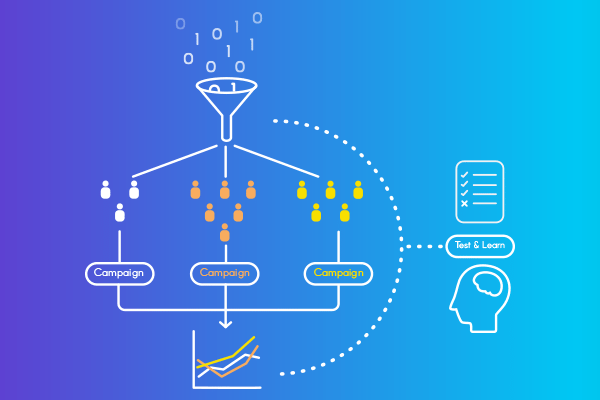 Identifying imminent marketing opportunities based on events or changes in customer data is one of the most effective and efficient methodologies for data-driven marketing. Better still it’s customer-centric. Typically, triggers include events such as a major purchase, new job, change of address, or other personal or family changes. Complaints, enquiries or other customer feedback are also potential triggers. Opportunities online include click throughs, items browsed, time in specific sections, abandoned shopping carts, and so on. Global fashion brand, BCBGMaxAzria, uses emails triggered by customer behaviour on their website: achieving a reported 525% lift in CTR and a 220% increase in opens, compared to the brand’s non-triggered emails. When customers click through, they transition to a custom landing page that looks like the BCBG site but is populated with products that suit them personally. ▪ The world’s best “converting” websites, based on conversions as high as 40%, were also found to be users of trigger based email marketing. According to Forrester Research, trigger based email marketing campaigns can generate 4x more revenue and 18x greater profits. Yet other research indicates only about one third of businesses use trigger based emails. So there is still plenty of scope to get ahead of your competitors. ▪ Scientific vs “gut” decisions. Detecting complex patterns of events and behaviours is far more powerful than attempting isolated intervention with manual response. If you’d like to see a short case study showing how Propensity Modelling and EBM delivered a 3146% boost to ROI – check out our Infographic now.